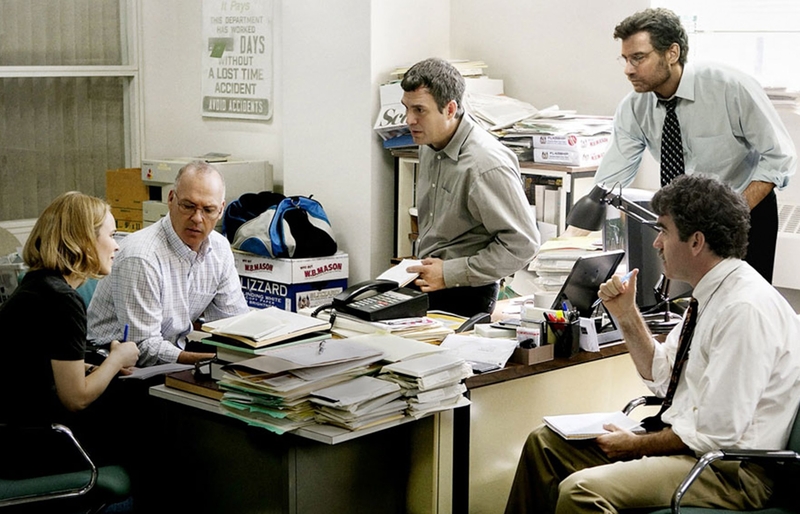 Spotlight tells the story of the Pulitzer prize (2003) winning journalistic effort of the four-person team that uncovered the Boston child abuse scandal of the Catholic Church. Marty Baron arrives at the Boston Globe as the new editor, an outsider, in a very small town feel Boston in the early 2000s. There is something very close to irony, that this New York man of Jewish descent, becomes the crucial element in bringing so much scandal to the well-established Boston Catholic community. 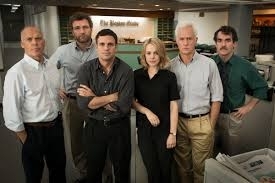 He uses the four-person Spotlight column, Walter Robinson (Michael Keaton), Michael Rezendes (Mark Ruffalo), Sacha Pfeiffer (Rachel McAdams), and Matty Carroll (Brian d’Arcy James) to do extensive old school journalism, in an uphill struggle, to accomplish his objective. The movie’s brilliance lies in its excellent casting and perfect pacing. We all know that the scandal made headlines, but somehow the story keeps you wanting to see the events unfold. Liev Schreiber is excellent in his soft tones and mild demeanor, perhaps reminiscent of Ben Affleck’s, less is more, role in Argo. Walter Robinson(Keaton) adds self-evaluating gravity to the film as he realizes his own part in not uncovering the massive scandal years before. Sacha (McAdams) attends church weekly with her grandmother and struggles with her faith as the story unfolds. 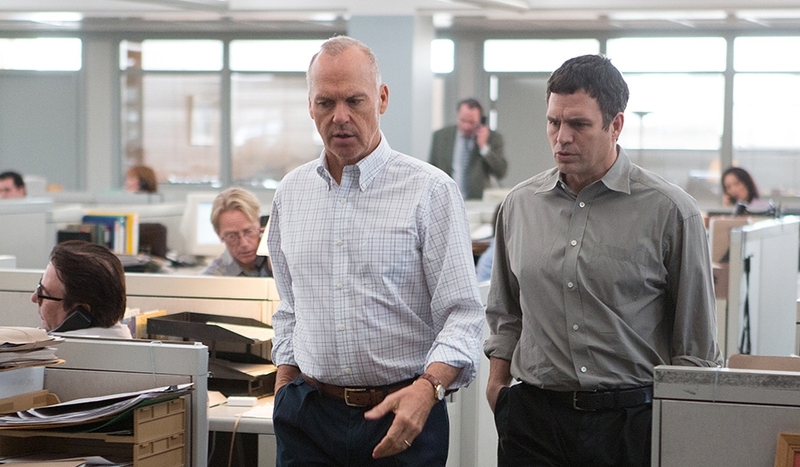 Michael (Ruffalo) shows his excellent range and depth in small demonstrations of each. He ponders his own faith, candidly, as he remarks that he stopped going to church years ago, “I had that in my back pocket”. It as if his safety net has been pulled away. Ultimately, the safety net vanishes for many. Fears are exposed. The world is turned upside down. Fittingly, at times, the characters are driven to get the scoop first. It is an intricate balance between what is right and what will receive accolades. 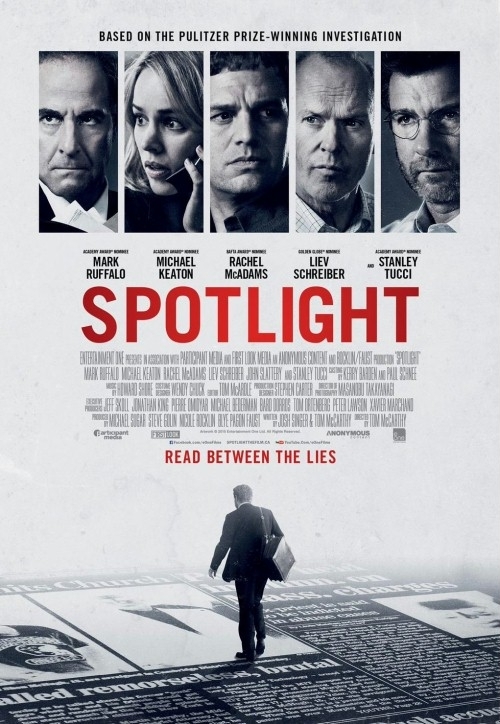 Bottom line…this is a power-packed cast with a well-written script that exposes a dark part of American culture.